Solvent extraction is a process of extracting oil material by solvent oil. It is a kind of separation process that uses liquid extraction solvent to process and not the azeotropic distillation of the two components or more components solution, is a widely used unit operation that realize the separation of the components mass transfer. There are two ways of extraction using a similar dissolve as principle: The liquid-liquid extraction is to separate some components from a mixture with a selected liquid solvent, the solvent must be undissolved to the mixture and has selective dissolving ability, and must have a good thermal stability and chemical stability, and has the toxicity and corrosive. Just like using benzene to separate phenol from coal tar, or using organic solvent to separate olefin from petroleum distillate, or using the CCl4 to extract Br2 with water. The solid-liquid extraction is also called as leaching, it uses solvent to separate components of solid mixture such as using water leaching to get sugars from sugar beet; using alcohol to leach soybean oil so as to improve the soybean oil production and using water to get effective ingredients from Chinese medicine to produce ointment is called as "infiltration drain" or "dip drain" are also classic examples. Solvent extraction plant is machinery that squeeze oil directly from oil seeds which contains oil below 20%, such as soybean. Solvent extraction also extracts oil to squeeze out or complete press block seed contains more than 20% of the essential oils such as sunflower, peanut, cotton seed, palm oil, rapeseed oil, copra, castor and all kinds of other materials. 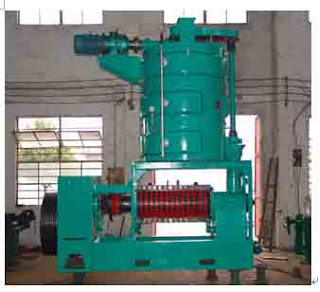 The design purpose of the solvent extraction is to squeeze most of the oil mill plant that contained in seeds. In preparation for the good seeds extraction, or as usually occurs in the case of high oil content seeds, cake income grease. Additional level grid board to prevent miscella into back to the grid board data cells to ensure the best extraction effect; the damp meal is sewage discharge material discharger continuous wet in the wet meal conveyor. This avoids the meal cohesion, our meal and extend wet platoon is wet meal work life conveyor. Pre-by extraction, extraction and drainage part made up this unit. A material turnover is in the process to make sure the extraction is done completely. Special self-cell solvent spraying makes effect to ensure optimal in extracting process. This solvent extraction plant has five necessary procedures when extracting oil. The first is to prepare the high oil content seeds for oil extraction. Second is using the aid of a food grade solvent to extract oil from prepared material. Desolventising-toasting seed de-oiled/meal, often combined with dry and the cooling of the said meal. The next is distillation, through this procedure, the solvent will be removed from the extracted oil. And the last procedure is recovery of solvent, it is to repeat the procedures again and again at the extraction level. This solvent extraction is of simple structure, stable product performance, it has many advantages.